Fitbit Charge 2 has served wearable device market in such a good manner. Just see how the device performs excellently in giving real time fitness data and present it interestingly via their great and free application. This is exactly what makes this device was listed as one of the company’s best-selling products. However, Fitbit Charge 2 has been released like 2 years ago, means that the product it is quite old already. On the other hand, consumers want something newer, something fresher than the previous Charge 2 and something brings current wearable features. Therefore, at this point, we expect to hear news of Fitbit Charge 3 release. Before the day of Fitbit Charge 3 release is coming, let’s talk about what we expect to see in the new Fitbit Charge. All these expectations are listed below. Even if design has been updated in Fitbit Charge HR, the previous Fitbit Charge 2 is considered as thick and chunky. So, it will be very appreciated if Fitbit will cut some millimeters of overall dimension, especially when sleeker design is something embraced by vast majority of nowadays wearable device. By cutting out few millimeters of the dimension, we believe that it could result on better efficiency for the company and better aesthetical aspects for the users. 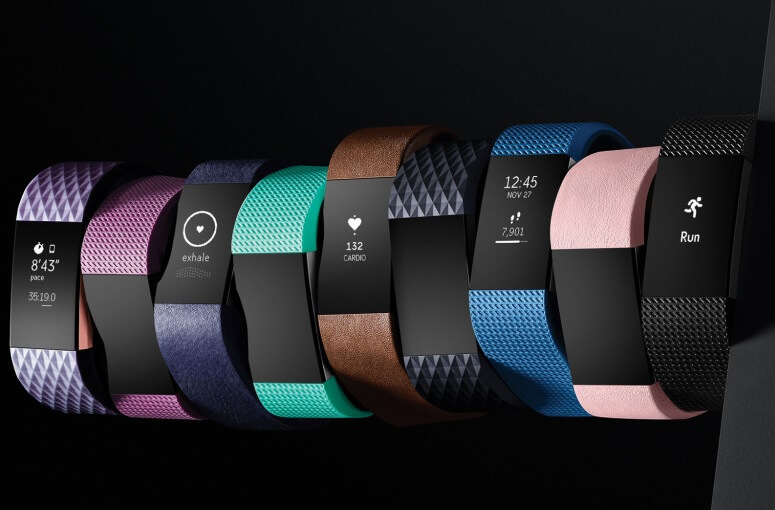 Moreover, the new Fitbit Charge 3 is also expected to have smartwatch impression more and it’s expected to look like smartwatch instead of just a simple fitness tracker device. This is already applied by Fitbit’s Ionic, and we’re sure that it will be great if the ne Charge will use the same design concept too. If there’s anything should be fixed in Charge 2, it’s probably the screen. Many users think that the touchscreen of Fitbit Charge 2 is not that responsive. Sometimes, we have to touch it firmly even in order to make the tracker responds. So, more responsive screen will be a good idea for the new Fitbit watch. Besides, it will be interesting too if on the Fitbit Charge 3 release we can see an OLED display instead of Monochrome. I mean, who doesn’t want brighter color-screen with good readability under the direct sunlight, right? Charge 2 doesn’t have built in GPS. But, it syncs the location data from the smartphone GPS via Bluetooth. It means if you want to track your run using GPS, you need to carry your smartphone as well, which is impractical for some reasons. So, in the new Fitbit Charge 3 release, we want to see built-in GPS on the specification list. Therefore, we can run more freely without even need to carry our phone in pocket anymore. It would be much better if fitness tracker comes with water resistance capability. That’s why many new wearable devices that have been introduced recently are having this water resistance feature. So, people can bring them to the water. And this is what’s really expected in Fitbit charge 3, especially when other siblings such as Flex 2 and Ionic are already have it. To make this feature real on the latest Charge 3, Fitbit at least needs to bring physical buttons on the side of upcoming Fitbit Charge 3 first. It’s because touchscreen will probably be difficult to use in the water, s physical button would be a very good idea. Stress tracking seems to be the next promising feature to be revealed in Fitbit Charge 3 release. Couple years ago, the company has introduced breathing exercise features, the feature that can relax your body and mind by using personalized mode called deep-breathing session. Therefore, with the combination of heart rate monitoring data, we expect Fitbit stress monitoring will be real in the near future, especially on Fitbit Charge 3 release. Many people are now getting more excited to listen to music in their smart tracking device while running through. With this approach, there is no need to bring smartphoe on the pocket anymore, which can be a little bit burdening and not feel so comfortable as well. This principle is already applied by Fitbit in their Ionic device. This watch has 2.5 GHz memory to save up to 300 songs. Moreover, it is also able to independently stream music on Pandora without being connected to smartphone. Another product such as Garmin Forerunner 645 Music edition also has 4 GB internal memory to store music. Therefore, we think it will be more interesting if the new Charge 3 introduces the same feature. Still comparing with the latest Fitbit Ionic, the company has equipped the device with NFC chip to store credit card information. And Fitbit has gone live in some areas as well. In the US for example, people now can store their American Express Cards data in their smartwatch, then they’re free to choose to using Visa or Mastercards. With this kind of feature, people can go shopping without even bringing cash or your wallet. And this is definitely what we want to see on Fitbit Charge 3 release. If we track Fitbit history in releasing device, we’ll see this 2-years cycle. As we know, Fitbit HR was introduced in 2014. Two years later, in 2016, the company released Fitbit Charge 2. Does it mean that 2018 will be the right time for Fitbit Charge 3 release? Hopefully the answer is “yes”, because market demand terribly wants an update of the older Fitbit Charge 2. This hope is supported by Bloomberg report that says the company is indeed, still preparing a release of the new edition of Fitbit Charge. And it will happen sometime in 2018. Will it be at IFA event on September? Even if there’s still not much information revealed regarding to the Fitbit Charge 3 price, but we can refer to the price of Charge 2 when it firstly introduced to public. Back in the time, the device costs around $150 or £129.99 and AU$250. So, we think it’s reasonable if we assume that the Fitbit Charge 3 will be offered in similar cost around that nominal at the first time it’s released.